Chardham tourism is one of the most trusted tour operator for chardham yatra in Hardwar. Working as a division of most popular and reliable travel agency in Haridwar Dada Boudir Tour & Travels, Chardham Tourism offer most comprehensive budget chardham yatra packages, do dham yatra packages, teen dham yatra packages and ek dham yatra packages. Apart from regular chardham yatra packages, Chardham Tourism also offer Haridwar sightseeing tour packages, Rishikesh tour package, Badrinath Auli tour package, Nainital Almora tour package and other Uttarakhand holiday tour packages. Tour packages from chardham tourism are within budget and our first priority is safety and comfort of tourist, we believe in quality service . That;s why we don’t offer cheap package with compromised services. Enjoy your tour in Uttarakhand with Chardham Tourism and get best tourism experience in Uttarakhand. Apart from regular and customized tour packages, Chardham Tourism offer Car rental service with own cars, taxi rental services, tempo traveller for Uttarakhand tours and chardham yatra tours. 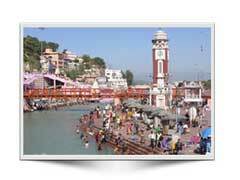 Also Hotel booking services for chardham yatra and Uttarakhand tour packages.